 The Epic Review: Check it Out: Teenage Mutant Ninja Turtles Pizzas from Pizza Hut! 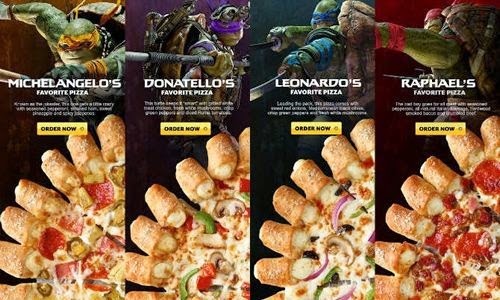 Check it Out: Teenage Mutant Ninja Turtles Pizzas from Pizza Hut! Raphael's Favorite Pizza is a meat lovers with pepperoni, ham, Italian sausage, and crumbled beef. Leonardo's is a vegetarian pizza with onions, olives, green peppers, and mushrooms. Donatello's is a health consistence pizza with mushrooms, chicken, green peppers, and tomatoes. Michelangelo's is a funky mix of pineapple, pepperoni, smoked ham, and jalapenos. This is the pizza I ate for lunch yesterday and it was pretty good. I recorded a video review of the pizza which I'll try to put up sometime soon. 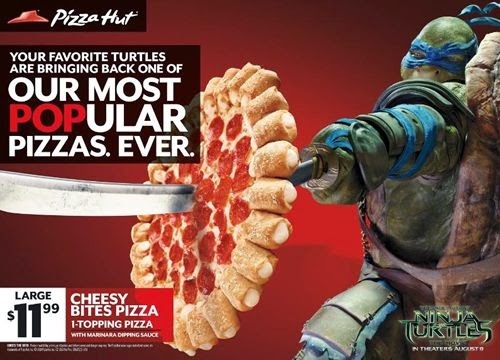 If you're interested, head on over and pick up your favorite pizza here: Pizza Hut's TMNT Menu!